Come join this exciting new sport that combines the fast paced game of soccer with the traditional relaxed sport of golf. Footgolf is played on a real golf course but instead of 14 clubs and a bunch of equipment you use your feet and a soccer ball. Groups of 4 - 6 players play a challenging 18-hole layout and shoot towards 21 inch cups. All ages! All skills! All fun! Soccer Associations, Clubs, Teams, or Corporations are always looking for fun ways to fundraise. Best of all you don't need any volunteers or workers to run your event! The CFGA and the course you choose has all of that covered free of charge! 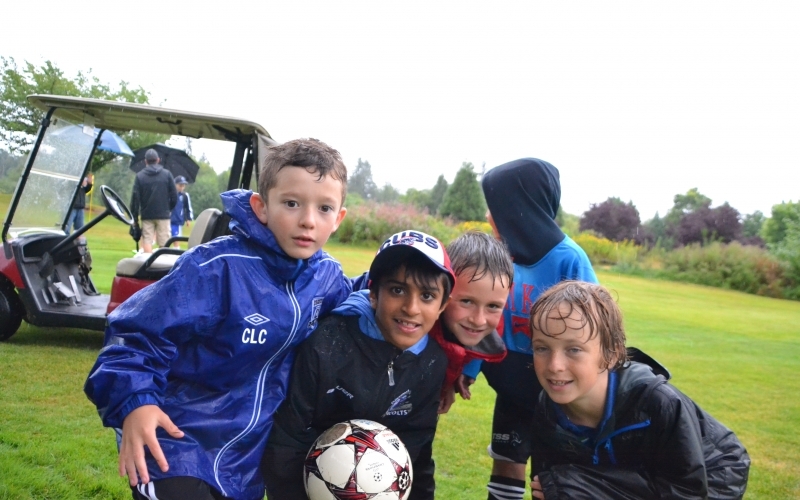 FootGolf Fundraising events attract large crowds as everyone of all ages, all skills can play. Please contact the course directly to setup a fundraiser or event.